Expertise: Gerry has been in the Fitness industry since 1991 and is the Manager of the Fitness Town in Kitsilano (Vancouver). 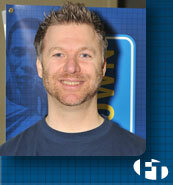 He has a degree from SFU with a concentration in Kinesiology and Communications. Experience: Gerry joined the team at Fitness Town in 2001 and got his start in the Fitness Industry as a personal trainer. As a trainer he had the opportunity help people achieve a vast array of fitness goals, from rehabilitation to competitive athletic goals. He is passionate about Fitness industry and has been a competitive athlete in basketball, volleyball and triathlon. Insider Info: "We have many common as well as personal goals with regards to health and fitness. It is my mandate as a fitness expert for me, and my staff, to help you find the right fitness equipment and approach in reaching your own personal fitness goals." Feel free to contact Gerry at gerrym@fitnesstown.ca with any fitness questions. Experience: Dee has extensive health & fitness experience and has been with Fitness Town since 2012. Growing up as a competitive soccer and basketball player, Dee is committed to living a healthy and active lifestyle. He has a passion for martial arts, power lifting, strength training and nutrition. Insider Info: Dee looks forward to sharing his expertise and helping people move forward on their path to a healthier lifestyle. Learn more about the Fitness Town Store in Kitsilano (Vancouver Westside) today.